Aspirin desensitization is the most effective method of treating AERD or aspirin / NSAID sensitivity. It is indicated in patients with recurrent nasal polyps, hard to control asthma who also have aspirin sensitivity. Desensitization process can be done safely in an outpatient setting. In patients with history of severe reactions or severe asthma, admission to the hospital for desensitization may be needed. 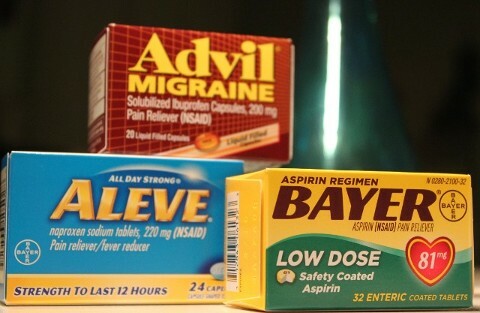 The process involves taking a small amount of aspirin with increasing doses over several hours until a desired dose is reached. During this time, you will be closely monitored for any signs of reaction and your lung function is also monitored so you will be quickly treated to reverse any signs of reaction. After this first day of desensitization process, you are required to take aspirin every day to maintain your tolerance to relieve symptoms due to aspirin sensitization. There is a risk of GI bleeding with daily aspirin and it is dosed dependent. Your physicians will discuss with you in details about the risks and benefits of this procedure. The majority of patients with AERD who undergo desensitization will experience a significant improvement of asthma symptoms with less flare ups, less medications use, improvement of sense of smell and taste, and undergo fewer nasal polyps surgeries due to delayed polyps growth. For more information about this topic, please visit the Brigham and Women's Hospital website.